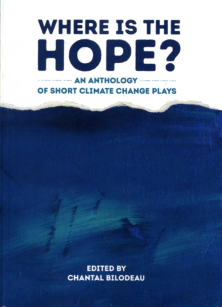 The CLIMATE CHANGE THEATRE ACTION (CCTA) was a series of worldwide readings and performances intended to bring awareness to, and foster discussion around, climate change in November and December of 2015. This action was organized in support of the United Nations 2015 Paris Climate Conference (COP21). We are looking to extend the impact of this project by following it up with a conceptual design charette towards publishing a conceptual design spread for each of the plays included in the original CCTA. We seek conceptual renderings, drafting, sketches, collages, and visual development work in response to the plays in the CCTA. 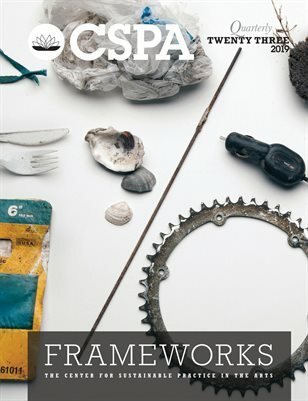 Selected submissions will be included in a published, hardcopy, volume from the Center for Sustainable Practice in the Arts (CSPA). Each design will receive a full colour tabloid sized (11″x17″) spread in the published document. Set, costume, lighting, media, video, and projection designers and design teams are encouraged to submit ideas for consideration by the curators of the CCTA and associates of the CSPA. Sound and aural designs are welcome and will be included in a possible companion CD or hosted on a dedicated sub-site of the CSPA for this project. Designers and design teams may submit as many concept proposals as they’d like, but only one concept will be selected for each of the shows. To apply, please follow this link to submit a short (100 – 250 word) concept statement highlighting your thematic and aesthetic approach, as well as how your design itself connects to sustainability in it’s proposed form and a link to previous work by March 30th, 2016. We will make a determination on the inclusions of the designer for each of the short plays April 30th, 2016. We will then work with each of the designers whose concepts have been accepted to complete the published volume in Summer 2016. Each designer included in the the published volume will receive a hardcopy of the finished publication and a one year subscription to the CSPA. The CCTA was modelled on previous NoPassport theatre actions focused on gun control and the aftermath of the Deepwater Horizon BP oil spill. CCTA draws on the expertise and resources of local artists, while being global in scope and uniting multiple countries and culture around a common issue. 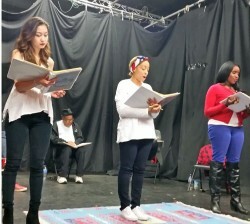 The CCTA consists of a collection of 1-5 minute plays, songs and poems by writers from all six livable continents, curated by Caridad Svich, Chantal Bilodeau and Elaine Avila. 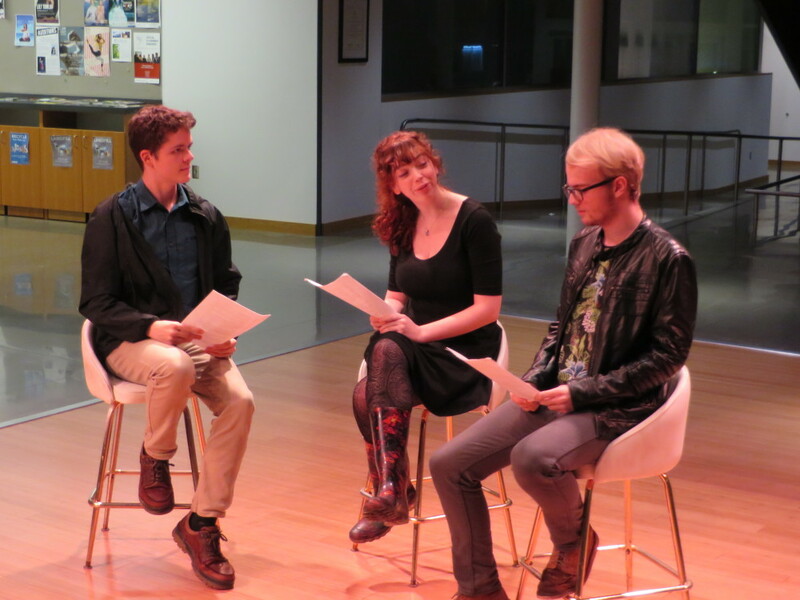 Over 100 collaborators from more than 20 countries hosted events ranging from informal readings in classrooms to day-long festivals, from radio programs and film adaptations to site-specific performances at the foot of glaciers. 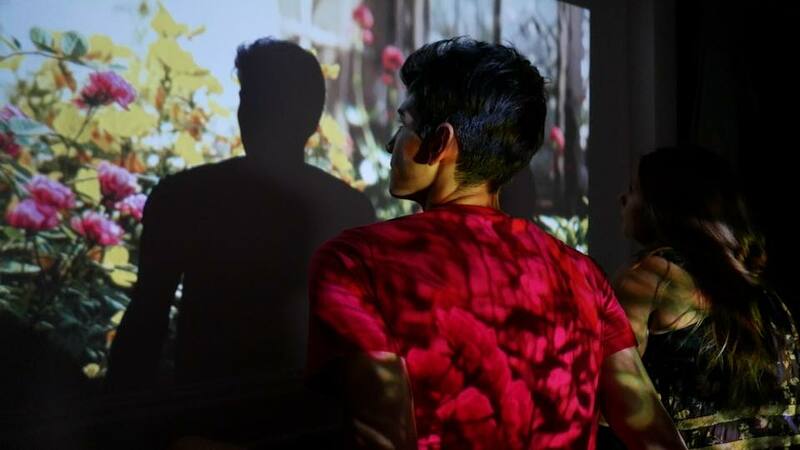 Events were registered with ArtCOP21 and, when technically possible, livestreamed on HowlRound TV. 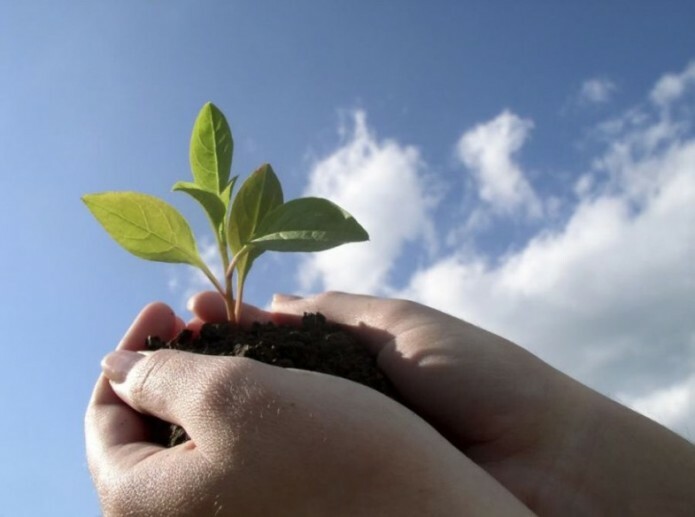 Sustainability in Production Alliance – UK community of allies working throughout the life-cycle and supply chain of live production igniting sustainable cultural change in our industry. The walls of the formaldehyde factory from Sebes and the fence of one’s home behind CET Rovinari. This extraordinary travel was recorded by Leonid Tishkov in twelve photographs and through notes from witnesses, pins on the ecological map and recordings of it. 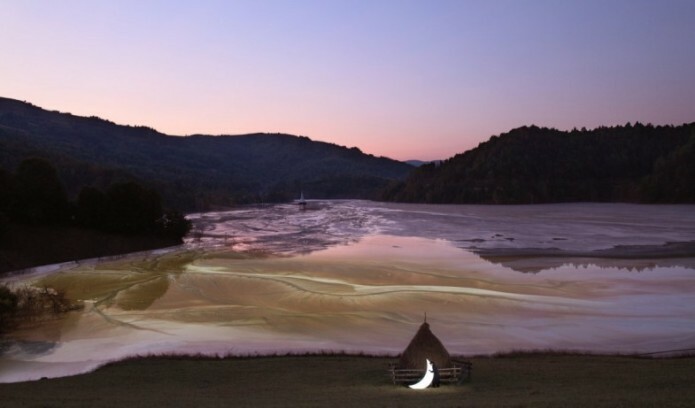 The post, Journey Of The Private Moon | Leonid Tishkov | ArtCop21, appeared first on MELD. meld is an ongoing interactive global art platform and collaborative catalyst to commission, produce and present ground-breaking and evocative works of art embedded in the issues and consequences of climate change. meld invites exceptional artists and innovative thinkers dedicated to the moving image and committed to fostering awareness and education to join us in our campaign for social change. Through a collaborative dialogue, we hope to provoke new perceptions, broaden awareness and education and find creative solutions concerning climate change, its consequences and its solutions. meld was formed by a devoted group of individuals guided by a passionate belief in the power of art to convey personal experience and cultivate social progress. meld is inspired by the idea that when art melds into the public realm, it has the power to reach people beyond the traditional limitations of class, age, race and education and encourage public action. The artiste Olga Kisseleva works of bringing extinct species back to life, or of creating new species on the preexisting base of DNA. A truly artistic utopia, assuming that extinction, can be revoked thanks to the advancement of contemporary human civilisation. Nowadays, a lot of extinct vegetable and animal species can be classified as being “physically extinct, but not genetically”. These species have disappeared as a result of global warming and its immediate consequences on their natural habitat and their living conditions. Their DNA has nevertheless been safeguarded and preserved in laboratories or museums, and can therefore be reactivated by scientists. Thanks to the advancement made through research in the domain of genetic technology, DNA can be used as a base in the rebirth of the species to which it belongs, the exception being with the dna of animals who lived a very long time ago. That of dinosaurs being a good example; they are classified as being “physically and genetically extinct”. One of the directions explored by bio-art and the artist Olga Kisseleva is the possibility of bringing extinct species back to life, or of creating new species on the preexisting base of DNA. A truly artistic utopia, assuming that extinction, despite its supposedly definitive and irreversible characteristic, can be revoked thanks to the advancement of contemporary human civilisation. the realization of this utopia therefore allows for the preservation of biological diversity, the reestablishment of weakened ecosystems and the deletion imagined by the damage caused to nature by man. The post, Eden | Olga Kisseleva | ArtCop21 | Art Museum Beijing Art Academy China, appeared first on MELD. Here, Tuvalu is an art installation related to Aubervilliers market redeployment in the new passage Henri Alleg. Installation is firstly a pleasant place, both bench for users of the market, garden made with stones from demolitions and terrace for multiple associative s uses. On the other hand it’s a manifest on the issue of re-use, using materials from the site set in motion by the construction process and questioned consumption and hyper-mobility of resources by looking through the prism of urban metabolism. Elsewhere, Tuvalu is a Polynesian archipelago; it is one of the smallest state in the world, its inhabitants, the Tuvaluan are six times fewer than those of Aubervilliers. Tuvalu could be by the end of this century, the first state to disappear under water due to global warming. Its population already expatriates in bulk, but do not get to climate refugee status. Tuvalu became a symbol of the effects of climate change: how our lifestyles here questioning those elsewhere? The approach HQAC * Aubervilliers led by the artist Stefan Shankland is supported by : The City of Aubervilliers, the Agglomeration of Community Plaine Commune , The Department of Seine-Saint-Denis , EPA Plaine de France , the DRAC Île-de-France , the RATP . The post, Tuvalu : An Island In The Heart Of A World In Mutation | ArtCop21, appeared first on MELD. Botanic Maracaibo, by Botanical City, presents the results from the Ephemeral Botanical Urban Landscape, a side event to the UNESCO’s Our Common Future Conference held in Paris on 2015 and a labeled COP21 project. An exhibition exploring the results of the performance ephemeral botanical urban landscape a performative method towards resilience and adaptable public spaces. 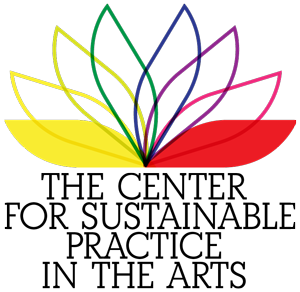 Botanic Maracaibo, presents the results from the Ephemeral Botanical Urban Landscape, a side event to the UNESCO’s Our Common Future Conference held in Paris on 2015 and a labeled COP21 project. The exhibition reflects on the on site performances developed in Paris and Maracaibo, as well as the larger research on theBotanical Garden of Maracaibo, Venezuela, which was conceived in 1983 as a Garden School for the preservation of the Tropical Dry Forest and as the First School of Horticulture in Latin America, by Roberto Burle Marx and Leandro Aristeguieta. The two on-site learning experiences attracted around 150 participants. The Paris Workshop took place at the Place Jussieu, as a perfect middle point between the University Campus Pierre et Marie Curie and the Jardins des Plantes. This location was meant to serve as a strong metaphor for a relevant encounter between educational and botanical landscapes of learning, preservation and dissemination. 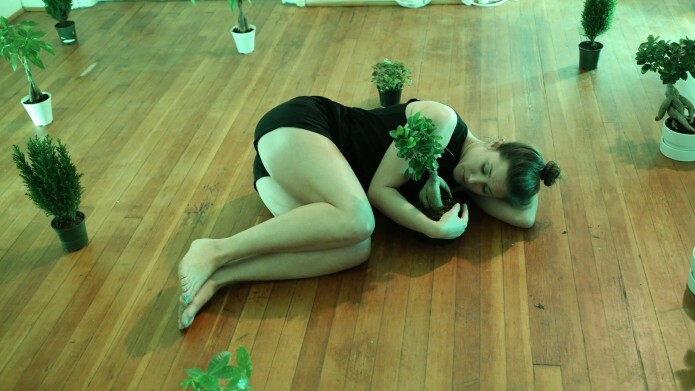 The Paris performance shared the same methodological structure with the performance in Maracaibo, it was structured in five simple steps: Discover, Plant, Grow, Be and Reproduce. The video exhibition explains how the on site learning experiences can offer instant information that may influence the design process and policy making mechanisms to adapt public spaces to the new climate challanges, thus the way the sites may look and perform over time. The invitation is to join us for an opening night exhibition in the Lower Chamber at the Centro Bellas Artes of Maracaibo, Venezuela, on Thursday, November 26, at 7:30 pm, with free admission. The post, Botanical Maracaibo echoes Cop21, appeared first on MELD. On Dec. 8, a humanitarian coalition comprised of Paul G. Allen’s Vulcan Inc., the Li Ka Shing Foundation andOkeanos, in partnership with The Oceanic Preservation Society andObscura Digital, and under the auspices of theWorld Bank Group‘s Connect4Climate initiative, presented a gift of contemporary public art entitled “Fiat Lux: Illuminating our Common Home” to Pope Francis on the opening day of the Extraordinary Jubilee of Mercy. 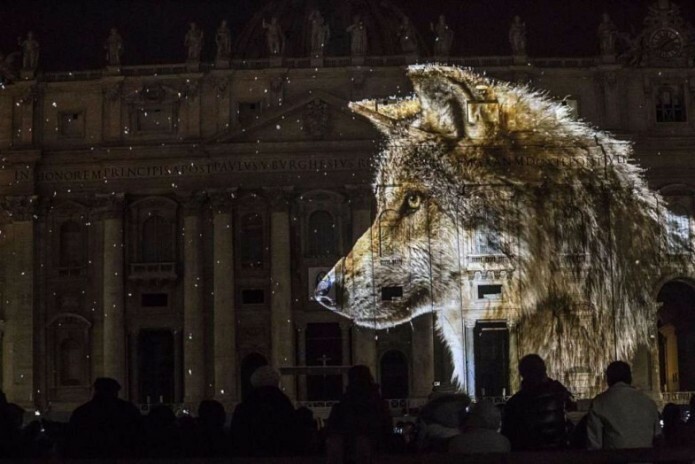 At this unprecedented and historic event, beautiful images of our shared natural world was projected onto the façade of St. Peter’s Basilica in a contemporary work of public art that tells the visual story of the interdependency of humans and life on earth with the planet, in order to educate and inspire change around the climate crisis across generations, cultures, languages, religions and class. The large-scale architectural public art installation is inspired by the themes of climate change, human dignity and the earth’s living creatures in the Encyclical “Laudato Si’” of Pope Francis. Programmed to coincide not only with the Jubilee, but also with COP21 inParis, the historic occasion will call on citizens of the world to join a global movement to protect our common home. The post, Illuminating Our Common Home | Obscura Digital | Fiat Lux, appeared first on MELD. Echoing the COP21, COAL and lyric Gaîté invite 200 artists, professionals, scientists, thinkers and doers to imagine all other narratives and other perspectives to reinvent our worlds. 14.30 – Face to face with the artist Stefan Shankland (FR). 15.30 – Introduction to survival in the global brain. 17h – Face to face with Shaun Gladwell, artist (AUS). 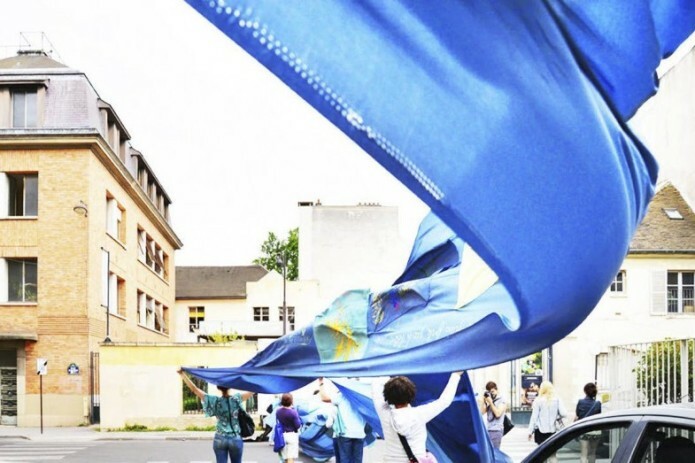 17.00 – Face to face with Anaïs Clipper, artist (FR). 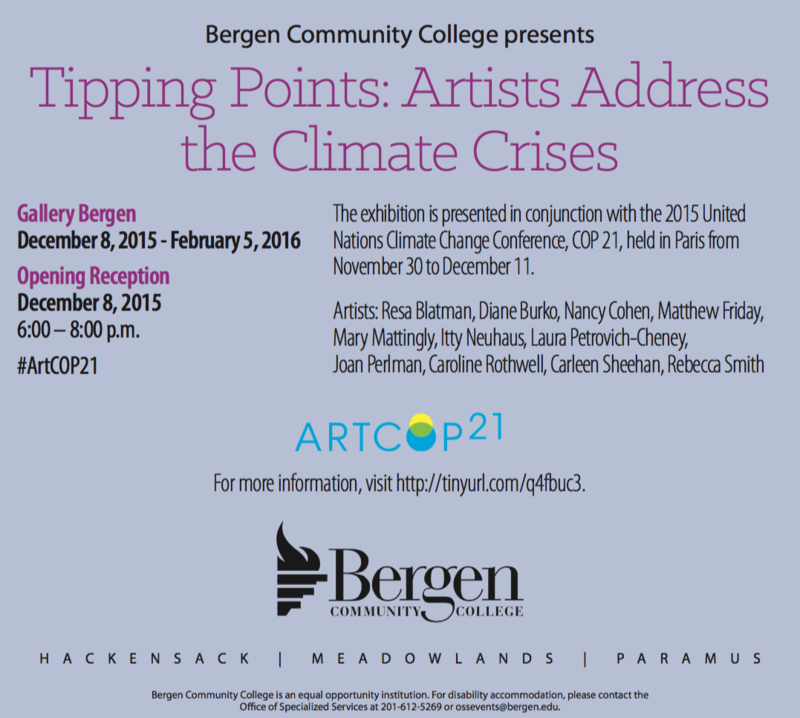 Tipping Points: Artists Address the Climate Crises will take place at Gallery Bergen timed in conjunction with the 2015 United Nations Climate Change Conference, COP 21, held in Paris, from November 30 to December 11th. It will be the 21st yearly session of the Conference of the Parties to the 1992 United Nations Framework Convention on Climate Change (UNFCCC). The conference objective is to achieve a legally binding and universal agreement on climate, for the first time in over 20 years of UN negotiations from all the nations of the world. Artists can use their skills and imagination to address the issue of climate change. Artworks towards this cause are now being seen in unprecedented numbers. 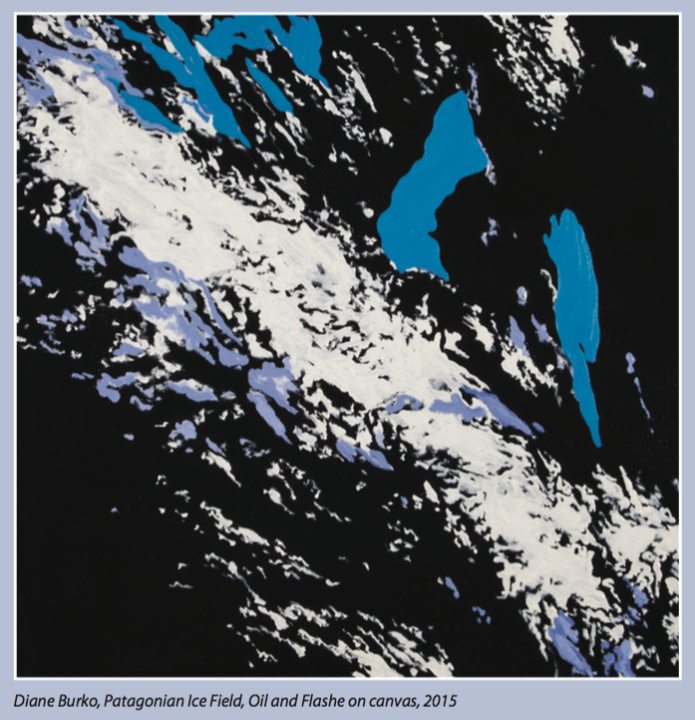 The artists in Tipping Points use a variety of mediums including painting, photography, video, sculpture and drawing. Some have been partnering with scientists and environmental organizations. Others have been researching and documenting changes in glaciers and diminishing ice on trips to far northern regions of the planet; including boat trips to the Arctic and Antarctic. Some take a more poetic and imaginative approach to confront the seriousness of the issue and single biggest challenge of our time. 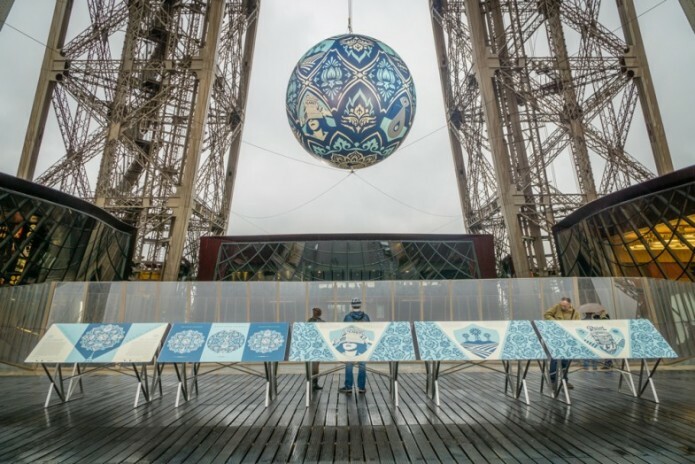 The two-ton sphere features images that symbolize both threats to nature and incitement to respect it, including climate change and environmentally-themed graphics that are positioned to raise awareness and provoke discussions about the Earth’s future. The color scheme connects blue and green of air, water and vegetation, all of which allows the Earth to sustain life. Head over to ObeyGiant.com for more information on the project. The post, Shepard Fairley reveals earth crisis globe standing for a better planet, appeared first on MELD. 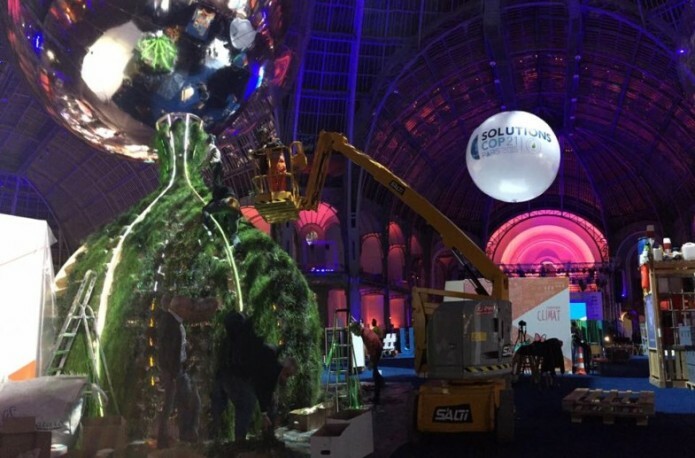 Solutions Cop21 about to Open its doors check out the work of Alexis Tricoire and Studio Orta! Studio Orta Antarctica World Passport Delivery Bureau. 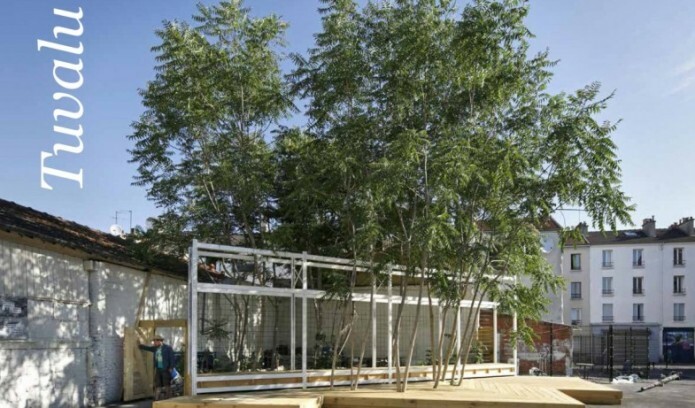 The post, Studio Orta and Alexis Tricoire teaming up with Solutions Cop21, appeared first on MELD.